The IAAR (André Rochais International Association) was founded to give groups living in poverty the possibility of pursuing training for their personal development. It concerns, above all, the countries of the South, but also in our own country, we want to help groups that have little chance of developing their personality. 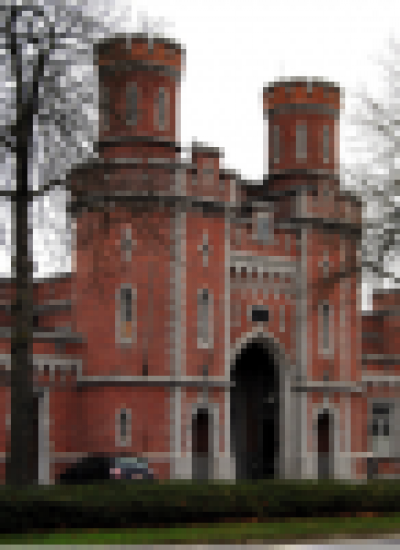 For more than 30 years, PRH has provided formation in the Leuven Centraal Prison to prisoners with long sentences for committing serious crimes. PRH gives courses and individual accompaniment to detainees who wish to participate in them. All this is possible thanks to a good collaboration with the management. The training at Leuven Central aims at a greater understanding of the human person (in a psychological framework) and the way in which the personal history of each person has influenced their current functioning. This way, the prisoners better understand their personality and how they can readjust themselves. The PRH training is based on a positive and dynamic vision of man. It teaches prisoners to consider their personality globally, emphasizing the positive nucleus that is present in them. At the same time, the training offers a means to adjust their functioning, something so necessary (pedagogy). They learn to take good choices and to function more from their positive nucleus. This leads them to live more tightly within the prison, as well as abroad, in case they could reintegrate again into society. It also helps them get along better with the other detainees. Thanks to this training, there is an evolution in their attitude towards the victims and the families of the victims. Little by little they can engage in a work of mourning and repentance. They learn to situate the “facts”. They better understand what has been put into play and discover how, during the events, they had completely lost touch from their positive potential. Our program in Leuven Central consists of several long-term PRH modules and profound modules each year. There are also modules for self-analysis and the possibility of individual counseling. This program makes it possible for a new public to be aware of the training and, on the other hand, allows the detainees to do a prolonged and in-depth work of themselves. Because of financial constraints, the budget for training has seriously declined. The budget we have is not enough to organize the necessary training. This means that we need extra help. The sum of € 2000 allows us to offer the detainees a training of 5 days.